California Emigrant Wilderness in the Sierra Nevada Mountains, just north of Yosemite National Park, covers about 113 acres of gorgeous forestland, with meadows, lakes and a number of recreational opportunities. Emigrant Wilderness contains high peaks, pristine meadows, lakes and sculpted rock formations, a place of great beauty in the Sierra Nevada Mountains. It’s the ideal spot for an adventure in outdoor recreation. It’s close to Yosemite National Park, so you can easily take a side trip to this lovely wilderness area to make your vacation complete. The Emigrant Wilderness Area lies within Tuolumne County, California, bordering Yosemite to the north. Get there from Yosemite by taking Highway 120 to California Highway 49, turning right when you reach Highway 108. You enter the wilderness area from Pinecrest Lake or Kennedy Meadows. The best times to visit Emigrant Wilderness are from June to September, with afternoon thunderstorms always possible (so come prepared). Emigrant Wilderness CA offers premiere outdoor fun. The trout-filled lakes in the Emigrant Wilderness provide the ideal spot to enjoy a fishing adventure in an alpine setting. Bear Lake is a popular location to find some rainbow, but you have to get smart about your approach. The water is so clear, the fish can see you coming. Have a friend with you to point out where the fish are while you seek higher ground to cast. With about 185 miles of hiking trails in this wilderness area, you will find heading into the backcountry is easy, and fun! The Pacific Crest Trail takes a beautiful route on the east edge of Emigrant Wilderness, heads through canyons and to Bond Pass. On the Gianelli Trailhead, you can hike to Upper Wire Lake, with a lot of great scenery along the way. Crabtree Camp Trail takes you to Gem Lake. On the Blue Canyon Trail, you will take a 4.5-mile out-and-back trail to a couple of gorgeous lakes. Camping in the wilds is something everyone has to try at least once. 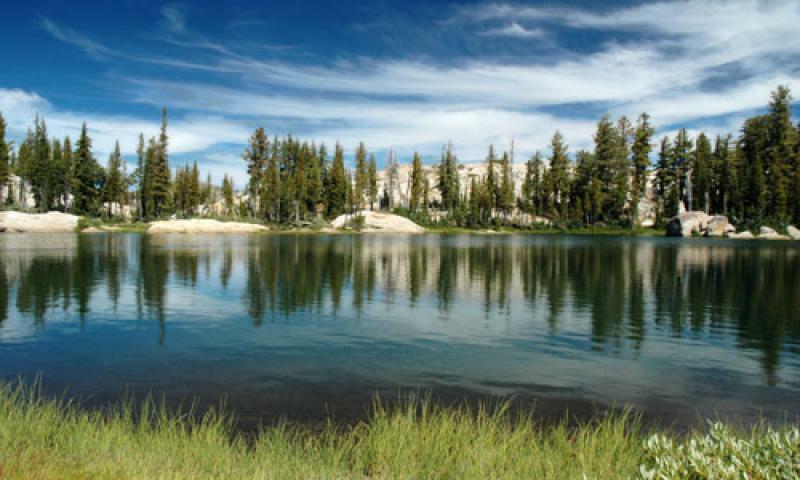 Emigrant Wilderness is the perfect place for both novice and experienced campers. Just remember to stay 100 feet from lakes, streams and trails when camping here. Emigrant Wilderness California was populated as long as 10,000 years ago, with native people hunting the high country and trading. Much later, in the mid-1800s, emigrant groups often traversed the wilderness on their way West, thus the name.